"Why the Heck Didn't My Doctor Tell Me That?" Welcome to Lower Back Pain Answers! I’m Stephen O'Dwyer, Neuromuscular Therapist, health educator, and bodywork instructor. This important question often comes up at the end of my treatment sessions with new clients. …and now that they feel a renewed sense of hope about achieving back pain relief, they often express confusion about why their doctor never mentioned any of these possible causes for their back pain. My answer to their question creates a launching pad for this entire website. During the last half-century, back pain research has benefited from several profound innovations in understanding. For example, Dr. Janet Travell, M.D., made clear in her two-volume work, Myofascial Pain and Dysfunction (co-authored with Dr. David Simons), that myofascial trigger points in muscles are a major source of much chronic pain in the body. Dr. Ida Rolf, Ph.D., biochemist and physiologist, developed Structural Integration (aka Rolfing), a profound method of bodywork designed to relieve painful conditions by lengthening the connective tissue (aka fascia) surrounding muscles. But, unfortunately, the work of Dr. Travell and Dr. Rolf (as well as many other innovators in the field of chronic pain) has only slowly made its way into mainstream medical thinking. It’s due to our collective undervaluing of the muscles. Despite the fact that our muscles make up 40% or more of our total body weight, they remain the ignored stepchild in modern medical schools. Instead, medical schools focus attention on joints, nerves, bursae, and bones. The unfortunate result for sufferers of lower back pain is that many physicians don’t have much experience in dealing with muscular problems. To understand back pain, it’s essential to understand the muscles. The majority of back pain is caused, not by degenerative discs or pinched nerves, but by dysfunction in the muscles. Of course, in some instances disc or nerve problems or other pathologies are present and require serious medical intervention such as surgery. But such cases occupy a very small percentage of lower back problems. By far, the highest percentage of individuals afflicted with back pain are suffering from muscular problems. "It's not because your doctor doesn’t care," I tell my clients. "It's because your doctor doesn't know that much about how muscles work." "And why is that?" they ask. "...allopathic physicians still receive very minimal training in the musculoskeletal system. 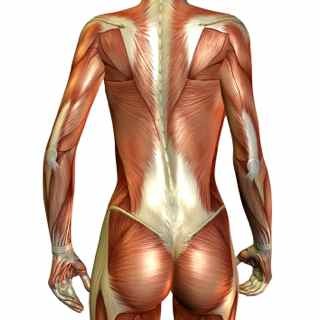 And it is the musculoskeletal system which is responsible for the lion’s share of back pain problems." Tight, short, strained or compensating muscles can be painful enough to make you believe there's something seriously wrong. What's needed is a better understanding of the muscles and a better approach. Here at Lower Back Pain Answers I promise you will find both. Wishing you all the best in your search for lower back pain answers! I promise to use it only to send you Back Answers. Keep up-to-date with all new pages the minute they go live (including special postings about research, etc). Get LBPA Blog Notices at your favorite RSS feed reader including Google Reader, My Yahoo!, etc. (What's an RSS feed?) Top left of this page. Go to the Lower-Back-Pain-Answers.com Facebook page and click the Like button. Or simply click the Recommend button here (top or bottom of this page). Ongoing information, surveys, and the like.